Synthetic fibre shaving brush with a faux ivory turned handle. Supplied with travel tube. 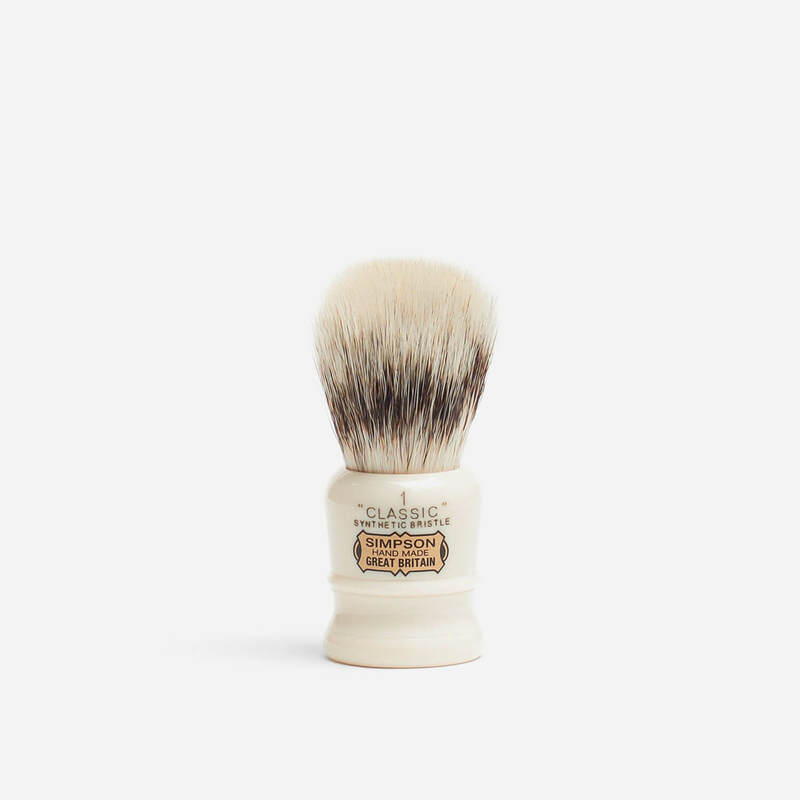 Hand-made shaving brush with a ‘Classic 1’ faux ivory lathe turned solid handle filled with synthetic fibres. 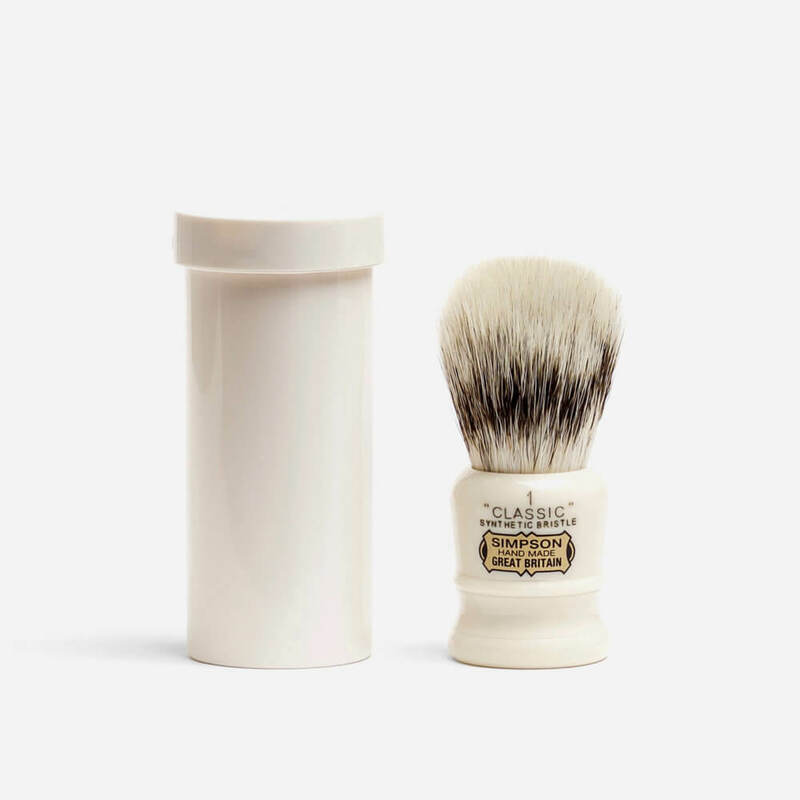 The ‘Classic 1’ is ideal for travel use due to its small size. Supplied with a plastic travel tube.